Throughout the holidays I work with my clients to maintain their weight, some still lose but the goal here is to maintain. I know they are going to indulge in a few treats, snacks and special drinks and honestly I want them to. 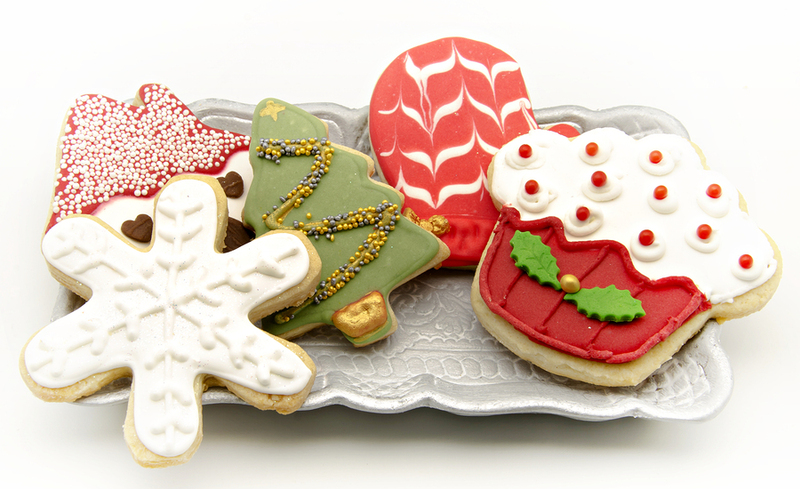 The holiday season only comes once a year and some of the traditional holiday treats are only here once a year too. I do not want anyone missing out or feeling deprived at family gatherings or parties and I want them to be in the moment as much as they possibly can and keep away from the guilt trips. I often tell my clients to go for the things that they love and leave the things that they like. If you are going to indulge make sure it’s worth it and make sure to thoroughly enjoy every bite, sip, texture, taste and smell. This is an indulgence not a binge. This is the time of year when insulin levels can sky rocket, throwing your blood sugar levels all out of whack, causing you to store the food you eat as fat. Your focus should be on eating balanced meals while consuming low glycemic foods if you want to avoid the typical 5-7 pound weight gain that accompanies all of the yuletide cheer. Here are some tips to help you maintain your health and weight loss goals throughout the holidays. Eat supper before you go out Even though you are planning on indulging at the party do not skip supper so you can indulge more. You can maybe skip your carb portion at your supper, but never arrive starving to an event. It is a guarantee that you will overeat on unhealthy foods. It has nothing to do with will power, you are hungry. Fill one plate and enjoy it Limit yourself to 1 small plate of food at the party. If you do not want to eat it all at once then set it aside and come back for it later. This plateful holds you back from mindlessly going back to the food table for more of your favourite never realizing how much you have consumed. Add a high fiber choice to breakfast. Choose steel cut oats instead of quick cooking or instant oats. They are higher in fiber and lower on the glycemic index. Research shows that adding a high fiber choice to breakfast helps to cut hunger and cravings over the rest of the day. Make a batch on the weekend and warm it up in the morning for a quick breakfast choice. A portion size is ½ cup cooked. Check out my Christmas baked oatmeal recipe at the end of this post! Avoid having a fruit by itself. Pair your serving of fruit with 1 tablespoon of raw nut butter or an ounce of cheese. When you add a protein or a fat with your fruit it helps to keep the glycemic index of the fruit down. If you drink alcohol then skip the starches. Pass on the rice, potatoes, bread and desserts. The alcohol counts as your carb for that meal since it digests as a carbohydrate. Also, drink a glass of water between each alcoholic drink, this will help you refrain from overindulging and avoid the morning headache! Eat supper before you go out. Even though you are planning on indulging at the party do not skip supper so you can indulge more. You can maybe skip your carb portion at your supper, but never arrive starving to an event. It is a guarantee that you will overeat on unhealthy foods. It has nothing to do with will power, you are hungry. Steer clear of fruit flavored yogurts. The yogurt isle is an overwhelming space. Stick to the basics. Low fat, plain yogurt or low fat Greek yogurt which is much higher in protein. If you need it flavored, add a little pure maple syrup, your own berries and vanilla extract. Add a salad to your Christmas dinner. Often holiday dinners can include mainly the starchier veggies, by adding a green salad to the meal will help you keep that half plate of vegetable rule and avoid you going back for that second and third helping of mashed potatoes! Bring something. Offer to bring a dish that you know is healthy and guilt free. Consider hummus or guacamole dip for veggies, yogurt dip for fruit or a trail mix, a bean or green salad. You are doing everyone a favour that will ease their guilt too. Keep your portions in check. Although these tips help to control blood sugar and insulin spikes they do not negate tracking your food choices to ensure that you take in the appropriate amount of calories to avoid packing on the pounds. These are just a few tips to get you through the holiday season, but I do have more tips plus recipes in my Holiday Survival Guide Download it by clicking on the link and enjoy. Preheat oven to 375F. Grease a 9×13 baking dish. Peel & slice apples and sprinkle with cinnamon. In a small mixing bowl, combine oats, flax, maple syrup, oil or butter. Spread oat mixture over apples and bake for 40 minutes. This recipes is so easy and also delicious with berries (2-3 cups or 1 bag frozen) rhubarb, blueberries, raspberries or pear. Enjoy! Melanie Grime is a holistic nutritionist serving the Orangeville, Dufferin, Wellington and Caledon areas. Melanie Grime RHN treats everyone as an individual with their own specific needs and helps clients suffering from health issues by looking for the root cause of symptoms and working with them to reach their health and nutrition goals. She specializes in weight loss, hormonal issues, detox, nutritional consulting and family & kids nutrition. Sudden quitting causes withdrawal symptoms such as headaches, mood swings, cravings and fatigue. It’s important to realize that sugar is an addictive substance – just like caffeine and even drugs & alcohol. We often put it all down to lack of willpower but this isn’t the case so don’t blame yourself for being “weak” or give up when you fall off the wagon. When it comes to sugar, it is not simply that we don’t have the willpower or discipline to control our cravings – there are some deeper, physiological and biological reasons behind our urge. I have helped numerous clients understand why they have those uncontrollable cravings, and what they can do to reduce them naturally and gradually over time. When we understand the reason behind those cravings, we have a much better chance to outsmart them and curb them using ways other than sugar and take back control! Cravings for sugar or refined carbohydrates can happen when our body needs an energy fix. Our body can extract energy from sugar very quickly, and is therefore the “food of choice” when a quick fix is needed. To avoid the need for an energy quick fix, eat for sustained energy. Eat meals that are low in glycemic load – whole unprocessed foods such as whole grains, vegetables, and beans are great choices. They are high in fiber, which moderates the speed at which the sugar is absorbed by the body. Also, make sure you include a moderate amount of good fat and lean protein to slow down stomach emptying and increase satiety. To support the body’s energy production, increase intake of foods rich in vitamin Bs – they are vital in our body’s energy production cycle. Good choices are whole grains, wheat germ, and brewer’s yeast. Cravings and fatigue can be caused by dehydration. Our body often misinterprets the sensation of thirst as hunger. Next time when you feel your cravings coming on, drink a glass of water, wait 15 minutes, and see if you are still hungry. Cravings can be a sign of nutrient deficiency. Cravings for different flavor or texture can translate to a lack of various nutrients. If you crave sugary food, you may look into deficiencies in chromium, sulfur and the amino acid tryptophan. If you have a relatively low protein diet and tend to crave sugar and feel fatigue easily, try increasing your protein intake, or experiment with the type of protein in your diet. Besides meat, poultry & fish you can try nuts and seeds, good quality cheese in moderate amount, as well as eggs, Greek yogurt, lentils and beans. Reserve ¼ cup shredded coconut in a shallow dish for rolling. Place remaining ingredients in a high-powdered food processor and process until fully combined. Form mixture into 1-inch balls and roll in reserved shredded coconut, coating balls completely. Transfer to baking sheet and refrigerate for a few hours or overnight. Keep chilled either in the fridge or freezer – they taste way better when cold. Enjoy 1 or 2 as a snack or dessert.